UPDATE: The U.S. is considering letting Iran run hundreds of centrifuges for research and development purposes at Fordo fortified enrichment unit, while limiting R&D work at other sites, the Associated Press reported today. The latest round of talks between Secretary of State John Kerry and Iranian Foreign Minister Javad Zarif resumes on Friday in Lausanne. Other foreign ministers could also join the talks on Saturday. The two sides have imposed a 31 March deadline to reach a political framework agreement. 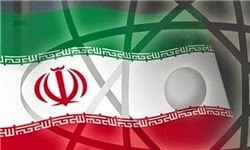 Iran’s main demand at the talks remains the immediate and full lifting of all sanctions upon reaching an agreement. It seems increasingly unlikely that the West would accept that demand in the five days left to the deadline. But if a framework deal could not be reached by end of March, the two sides could still continue their negotiations if they thought they could eventually find their way to a final agreement.
" Iran’s main demand at the talks remains the immediate and full lifting of all sanctions upon reaching an agreement. It seems increasingly unlikely that the West would accept that demand in the five days left to the deadline." immediate lifting of all sanctions was never going to be done in any circumstance short of immediate regime change in Iran. why would you even print such claptrap knowing it to be out of the question?